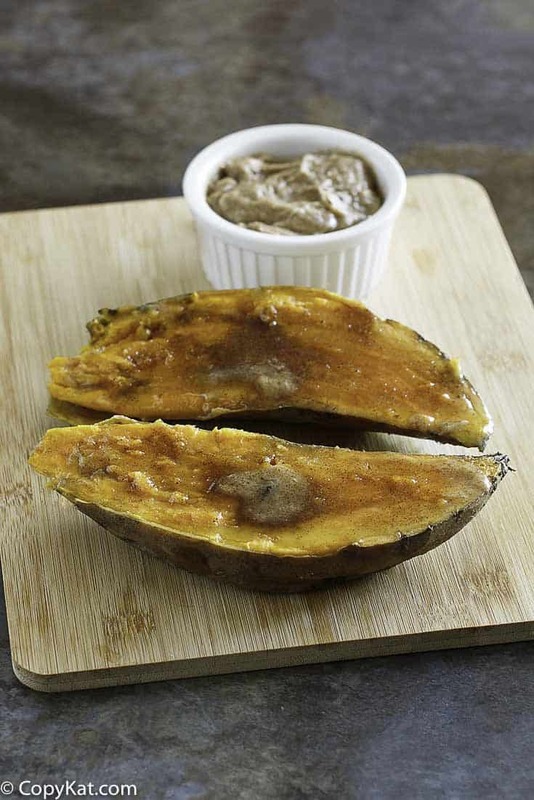 If you have never tried the Outback Steakhouse Sweet Potato you are missing out on an expertly baked sweet potato that honey butter, cinnamon, and brown sugar. You don’t have to trek through the Australian Outback to find an Outback Steakhouse. In fact, as there are only eight Outback Steakhouses in the whole of Australia, you probably wouldn’t find one in the vast area called the Australian Outback. If you are curious about this region, click here. Is the Outback Steakhouse Really Australian? The answer is no. The décor of an Outback Steakhouse may feature boomerangs and kangaroos on its walls, and its appetizers may be called “Aussie-Tizers,” but its menu is basically American. The Outback Steakhouse was started in Florida in 1987 by its three founders who decided on Australian themes because they wanted to invoke a rugged, outdoorsy quality. To read more about how the Outback Steakhouse came about, click here. The Outback Steakhouse is the place to get a perfectly cooked steak. However, no one eats a steak just by itself, and one dish that goes perfectly with an Outback steak is a baked potato. You can order an Outback Steakhouse Baked Potato but don’t miss out on the Outback Steakhouse Sweet Potato. If you don’t order one, you are missing out on a perfectly baked sweet potato topped with a delicious mix of honey butter, brown sugar, and cinnamon. Unlike some other restaurants, the Outback uses real butter to make their honey butter taste amazing. You can find more Outback Steakhouse recipes to make at home, including the Outback Steakhouse Baked Potato, by clicking on the link below. Sweet potatoes are super easy to cook. It’s best to get several of them in approximately the same size so that they will cook uniformly. When you bake them they tend to ooze a bit of sweet sticky liquid, so, to make clean up a snap, line your baking pan or dish with some parchment paper or foil. 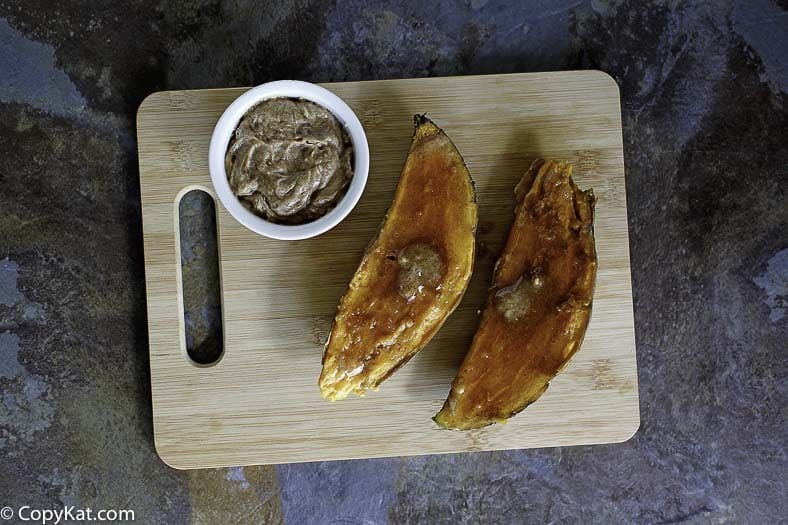 The Outback Steakhouse Sweet Potato makes a great side dish. You can bake them ahead of time, then simply reheat them just before serving when you get home from work. They make a delicious treat after a hard day in the office. Outback Steakhouse makes an incredible baked sweet potato and you can too! Preheat the oven to 375 degrees. Wash the sweet potato and wrap it with foil. Plance on a baking sheet lined with parchment paper. Bake potato for approximately 1 hour, or until you can easily pierce the potato with a fork. While the potato is baking use a mixer to mix together the butter and honey until the texture is uniform. To serve remove the foil and split the potato open with a knife. Top with the brown sugar, cinnamon, and finally a scoop of the honey butter. Store leftover honey butter in the refrigerator. 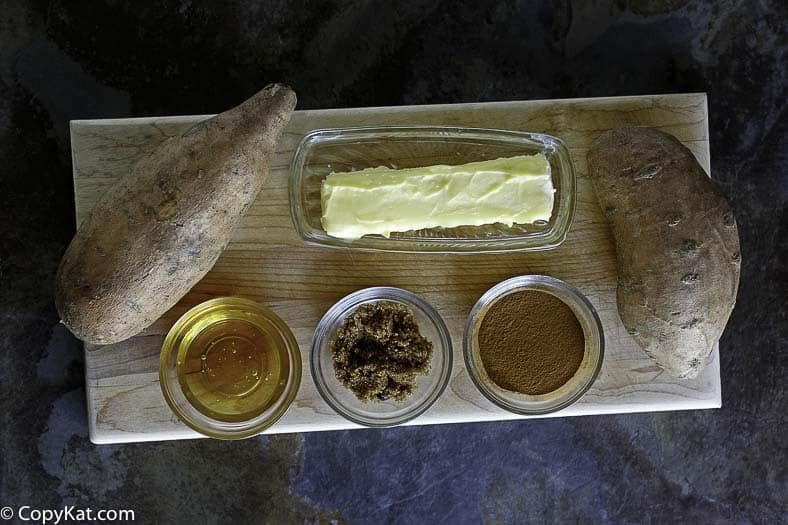 Serve each potato with 2 tablespoons of the honey butter. These taste just like Outback! Delicious! The topping is so yummy! Great flavors! I loved these! SO easy and so good! A perfect sweet potato. Great tip to line your baking pan. That honey- cinnamon butter gets me every time- so good! So simple and delicious! I can’t wait to make these again!!! So the recipe for honey cinnamon butter calls for 2 tbs of honey cinnamon butter?